Prospect Park is located in Brooklyn. The park is 585 acres located in Park Slope. There are many attractions in the park such as an ice rink, a band shell, a carousel, and dozens of athletic recreational facilities. 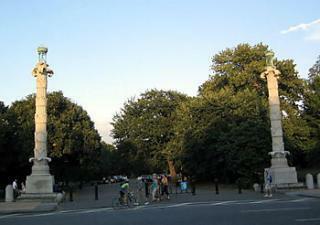 The Prospect Park Zoo is located on a large area belonging to the Prospect Park as well. There are also a lot of seating areas where people are free to have picnics and just hangout. The park has sports facilities including seven baseball fields in the Long Meadow, and the Prospect Park Tennis Center, basketball courts, baseball fields, soccer fields, and the New York Pétanque Club in the Parade Ground.